Each new home loan program has different credit score requirements. Ranging from no minimum credit score all the way up to 700 or higher to qualify. This article clarifies what the difference is between your mortgage credit score versus traditional credit scores, and breaks down each mortgage program and their credit score requirements. The first thing for any borrower to understand is that your mortgage credit score is different than all other credit scores. FICO has different algorithms and scoring models based on the type of credit you’re applying for. Given that mortgages are far riskier due to the longevity of the loan and amount of money being loaned, FICO provides mortgage lenders different credit scores than they do other lenders. Your mortgage credit score likely will be 30-50 points LOWER than what you’ll commonly see on a site like Credit Karma or any other credit-monitoring service. FICO provides mortgage lenders the FICO 2 or FICO 5 scoring model, depending on the credit bureau whereas most credit monitoring services will provide the FICO 8 model. For more information on the mortgage credit score versus the other scoring models, here’s a good article on myFICO.com. Do Lenders Pull All 3 Credit Scores? Mortgage lenders are required to pull all 3 FICO credit scores – one from Equifax, TransUnion and Experian, and we use the middle one when determining which program and rates you qualify for. We essentially disregard both the high and low scores and focus on the middle score. 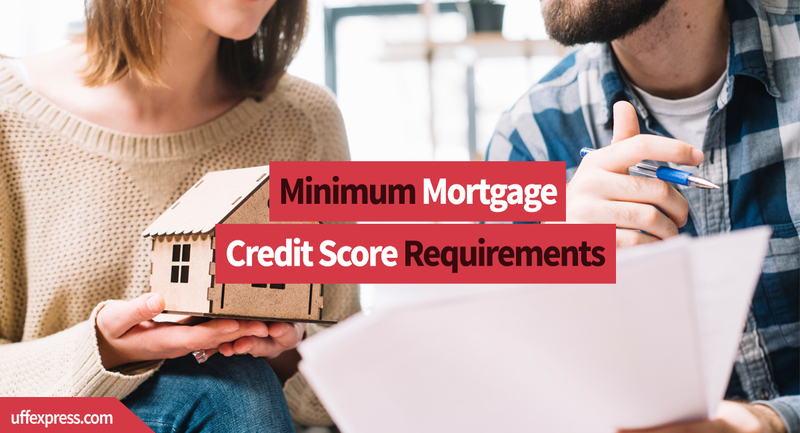 If there are multiple borrowers on the mortgage application, then the lender is required to use the lowest middle score between the borrowers. If you’re interested in getting pre-approved or finding out what your mortgage credit scores are, you can apply online and we’ll help you determine what your mortgage scores are. If your credit is below 620, FHA and VA are both vialable options. To learn more about 500 credit score home loans, read our article to learn more. Conventional loans secured by Fannie Mae and Freddie Mac are the most common mortgage program in the country, but also is very credit score sensitive. Conventional mortgages require a 620 minimum mortgage credit score to be eligible. It’s important to note that PMI and interest rates on Conventional loans are very credit sensitive, meaning your interest rate and mortgage insurance can go up significantly the lower your score is. To learn more about PMI, check out our What is PMI article. So even if you have 620-680 credit, a Conventional mortgage may not be the best option financially. The FHA Mortgage program has a minimum credit score of 520, however most lenders in the country require a 580 credit score or higher. Here at United Fidelity Funding, we are capable of lending below 580 credit score. Borrowers with under 580 credit must be prepared to put at least 10% down and have compensating factors such as no late payments in the last 12 months, excellent debt-to-income ratios and reserves. Borrowers with above 580 for their mortgage credit score may still only be required to put the 3.5% minimum down, but each scenario is case-by-case. If you want to see if you qualify, you can apply for an FHA Loan online. The VA Home Loan is one of the few programs in the country that technically does not have a minimum credit score requirement. The VA loan offers many additional benefits, and to find out more about VA Loans check out our article about how a VA Loan works. While the VA loan has no minimum credit score requirement, most lenders require a 580 minimum credit score. Again, here at United Fidelity Funding Mortgage, we offer VA loans below 580 but a down payment may be required and each scenario is case-by-case. The credit score for a USDA Loan is like VA in that the Rural Housing Loan program doesn’t technically have a minimum mortgage credit score requirement. In order to get approval in the USDA’s automated underwriting system however, borrowers must have a 640 minimum mortgage credit score. Borrowers with lower credit may be eligible, however you will be required to have compensating factors such as reserves and no recent late payments on your credit report. The non-conforming Jumbo or “Jumbo” mortgage often has the strictest requirements. These loans are targeted towards borrowers that need a loan amount exceeding Conventional or FHA loan limits (often above $485,000). Due to the amount borrowed and the fact they’re not secured by Fannie or any government agency, the credit score requirements are tough. Most lenders in the nation require a 700 mortgage credit score but there are a few that allow down to 680. Remember, that your mortgage credit scores are different and likely lower than you expect them to be. Particularly if you use a credit monitoring service or subscribe to Credit Karma. While each mortgage loan program has different credit score requirements, generally, the higher your credit score the better your chances are of getting approved for a loan. While programs such as FHA, USDA and VA offer allow lower credit scores, all factors are considered when approving a borrower for a loan such as income, liabilities, assets, and overall credit score and credit history.